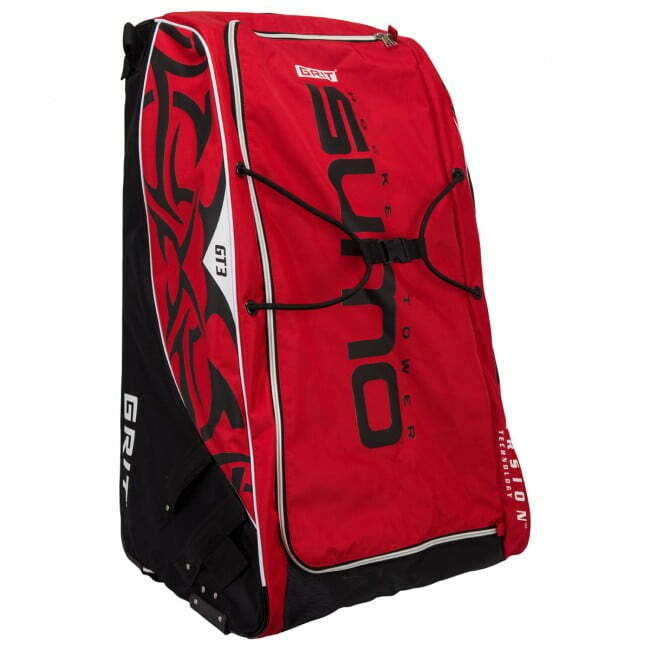 Grit GT3 Sumo 36″ Goalie Tower Wheel Bag | Sports Etc. The GT3 Sumo® is the ultimate Goalie Hockey Tower®. Having been redesigned, it now features a 21% reduction in weight, increased flexibility due to the introduction of our Torsion Technology™ frame, improved interior shelves with the addition of a mask cover, and tribal graphics on the side panels.